Air conditioning units, UPS devices, generators, and the like are all pieces of equipment that support mission critical facilities. Quite simply, they determine the reliability of the facility. Yet all too often, facility managers lack a proper maintenance program for the equipment. And that translates into high risk. Consider this: According to The Uptime Institute, the momentary failure of a single 20 amp circuit breaker can result in hours of information disruption to end users and can easily cost millions of dollars in unrecoverable revenue. When a poor maintenance program is in place, personnel respond to problems (such as the above) after they have affected operations. And equipment is repaired after the failure has occurred. This leads to an increase in equipment downtime, which means lost revenue and unhappy customers; a decrease in equipment life, which means higher life cycle costs; and an increase in equipment repair costs, which means higher annual operating costs. You can avoid unnecessary complications and their consequences by implementing a proactive maintenance program. In addition, you will experience increased network uptime, improved equipment performance, and increased life expectancy of equipment. And you will have the ability to see equipment performance trends, which helps in predicting potential equipment failure. Second, determine who your maintenance stakeholders are. This may consist of IT personnel, facilities and engineering personnel, vendors and contractors, or executives. It is important to make sure that the stake- holders’ needs are met and that they have input on your program. They will determine the methods of communication and the problem/issue escalation. Third, determine what assets you want to maintain. Include everything that can adversely affect your ability to deliver information—items such as the CRAC, UPS, generator, fire detection and suppression system, etc. Don’t forget commonly overlooked components such as TVSS and cleaning of your facility. Fourth, determine who will be performing your maintenance. 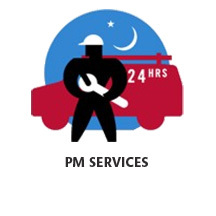 Depending on the level of in-house resources and expertise, maintenance may be performed by your facility staff. Often, though, maintenance services are outsourced so that staff can remain focused on core business operations. In either case, on-going training of maintenance personnel is vital in ensuring maximum facility reliability and availability. By following these steps, you will be able to implement a proactive maintenance program that is well defined and complete. According to The Uptime Institute, good maintenance programs pay for themselves on a ratio of four outages prevented for every outage caused. Start saving today! Bick Group has subject matter experts in this and many other topics. Talk to a Bick Preventative Maintenance Services expert by emailing: sdavis@bickgroup.com.